Gossip Sheet October 19 – Mal Walden’s knees, Jesinta Campbell’s new toy and Spring Racing eats. Gossip Sheet October 19 – Mal Walden’..
Quote of the week: ?I used to go in and read the news in shorts but studios are air conditioned and my knees would turn blue with cold, so I had to go back to wearing long daks,? 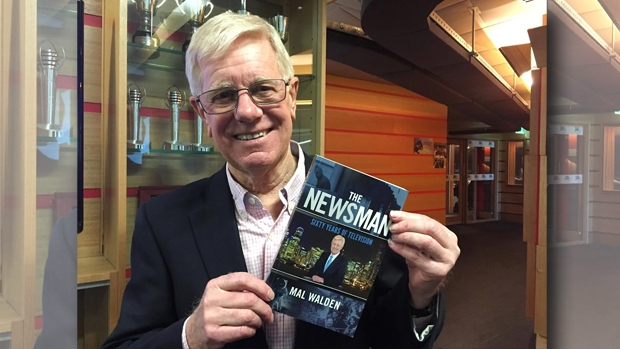 veteran newsreader Mal Walden told me as he prepares to launch his first book The Newsman. Spotted: Jesinta Campbell sporting her monogrammed phone and clutch at Caulfield Cup at the weekend. Others enjoying the David Jones Lounge at the Cup included Jarryd Roughead, Adam Goodes and Ricky Ponting. It?s been nearly two months since The Project?s Carrie Bickmore went brunette and even though one of her two children remains a bit perplexed and confused by her new look, Bickmore is planning to stay dark for a little while yet. Bickmore is balancing her tv work with numerous MC roles, and doing a fine job at that. The VRC is hoping the ever-so-chic plastic rain coats it?s had made for the Spring Racing Carnival won?t be needed. The pink or green trimmed, clear plastic coats (with extra large hoods to accommodate headwear) were showcased by Channel 7’s Jade Robran at a champagne breakfast at Cumulus Inc in the CBD. Imagine being a chef and having the name Travis Dines. Well, a man with that very moniker is heading the excellent Epicure team creating inspired dishes to serve at the Sensis marquee. The digital marketing services provider is making its debut on millionaire?s row (or is it billionaire?s row) at Flemington?s Spring Racing Carnival. Top Paddock, Kettle Black and Higher Ground are also on the catering team. 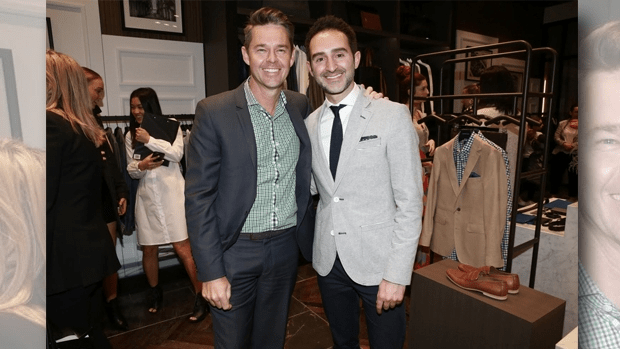 Tennis legend Todd Woodbridge has since responded to the Nick Kyrgios saga, but the young tennis star’s on court dramas were far from Woodbridge’s mind when he was checking out the cool threads of Godwin Charli at the new Chadstone. The celebrations continue at the shopping centre which is attracting more than 20 million people a year to shop and gawp at the enormous retail space. Woodbridge likes to pick up a cool suit or two to wear jet setting around the world to tournaments and major sporting events. Spotted: Richmond captain Trent Cotchin, currently renovating a home with his wife, sitting at the front of trendy St Rose cafe in Essendon. Which reality show contestant is champing at the bit and super keen to sink teeth into other projects after being ?warehoused? for two years under a tv network contract? Singer Anthony Callea is the headline act for this weekend?s Italian Festa in Lygon Street. Callea, with a new record Backbone, is proud of his heritage and is set to celebrate his triumphs and success with thousands of people at the free street party.